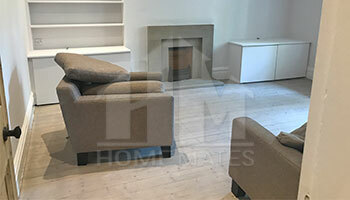 Choose reliable and guaranteed end of tenancy cleaning service in Wimbledon, SW19 with HomeMates. Give us a call now and get an instant free quotation! Our company has a solid reputation in Wimbledon for being a dependable source of affordable end of tenancy cleaning services for all regions of London. Our procedures offer more than excellent cleanness. They will also provide you with the security of knowing that you have a sparkling clean rental real estate property, from which you will be able to move out without any complications. Our services include different procedures which will remove the grime and the various pollution from all premises of your current home. Our agency has been offering professional end of tenancy cleaning services in Wimbledon, SW19 for the last couple of years and we are now one of the leading providers of such and other sanitising procedures for Wimbledon and the surroundings. Our cleaning specialists have the reputation of being very good in removing persistent grime, dust and problematic stains from all kinds of surfaces and materials. Simply call us when you start preparing to move out of your current rental real estate property and a team of qualified and highly experienced specialists will arrive as soon as possible. Our company is proud of having the best cleaners in Wimbledon and when you contact us, you will have the chance to test their skills yourself. We also have the most competitive price rates in the city and you can take advantage of them any time you want. You can come to meet with our team in our headquarters and use this opportunity to tell us more about your rental place and expectations. We promise that we will do our best to satisfy you and to provide the real estate property you want with long-lasting cleanness. Our superior end of tenancy cleaning services in Wimbledon can be easily booked in the main office of our professional company in the city. You can finds us there every day of the week.